Ornate and opulent, this lab grown diamond cluster engagement ring is a fine example of beauty and brilliance. A cluster of three diamonds flanks the center gem on each side. 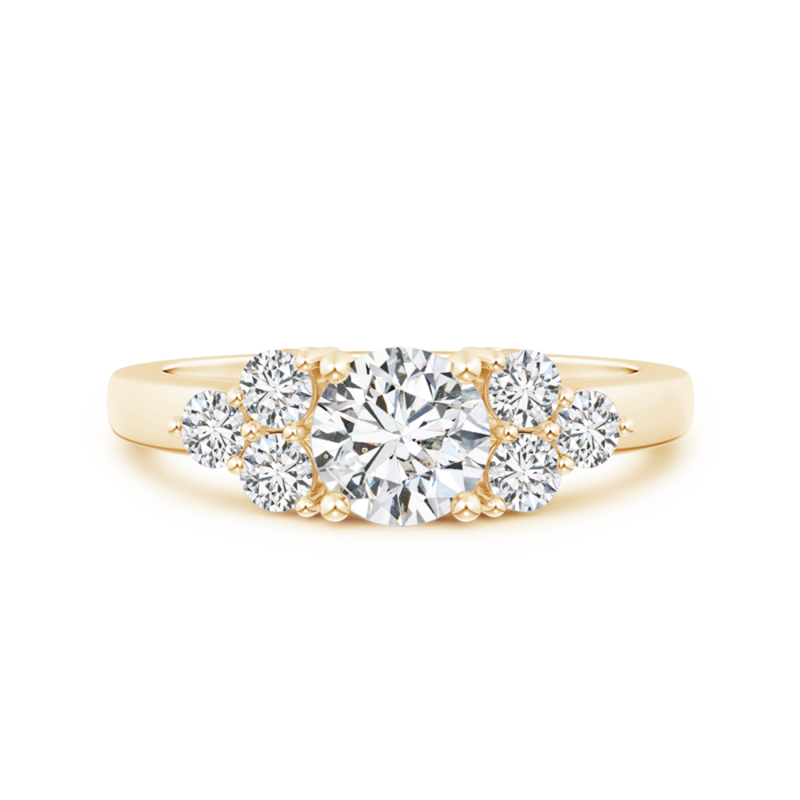 Set in 14k gold with a smooth finish, the center stone is intricately faceted to produce maximum sparkle.